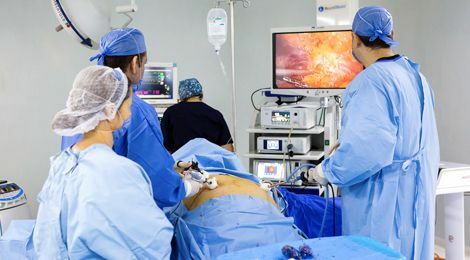 In this type of surgery, part of the stomach is removed, leaving the remaining part in the form of a sleeve or tube, which connects the esophagus to the small intestine. The gastric sleeve helps reduce the stomach’s surface up to 70%, leaving it to approximately the size of a tennis ball. It is a procedure that does not alter the digestive system and allows for a faster recovery after surgery. Weight loss is greater and faster. Short stay in the hospital. Increased risk of problems related to surgery. Shortage of vitamins and multinutrients in the body.